Have you ever experienced the feeling of panic setting in when you got distracted for one moment and lost sight of your precious child? I certainly have a few times. 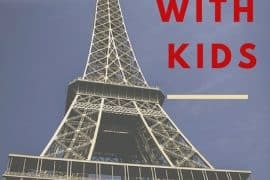 It happened when I traveled with my three kids to Paris, Prague, and Berlin. Luckily, in all three cases, I found them very quickly with the support of helpful locals. Afterward, you can laugh about it, but when it happens, it can be frightening. GPS tracking bracelets for kids are fantastic to avoid these situations of feeling helpless. No matter if you are in an amusement park, a shopping mall, your child walks home from school, these devices give you peace of mind. GPS tracking bracelets are a great alternative to cell phones especially if you don’t want your child to own a phone due to his/her age. I also think it is easy to lose a phone where else a bracelet stays put around the wrist. I will discuss three different tracking devices including their pros and cons. But I also show you an alternative option if you don’t want an electronic device for your child. 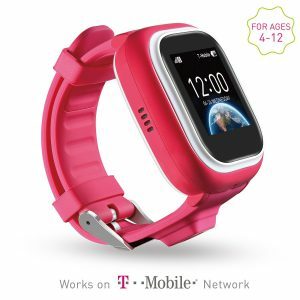 TickTalk 4 to 12 years pink,blue, black T-Mobile yes $$ The TickTalk tracking device is colorful and a breeze to use by your children. LG GizmoPal 4 years and up pink and blue Verizon yes $ The LG GizmoPal does a great job in locating your child and staying in touch. 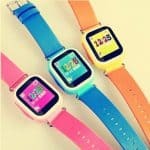 KOBWA smartwatch 4 years and up pink, blue and orange 2G Network yes $ The KOBWA smartwatch is great value for money. First and foremost the GPS device should be compatible both with Android and iOS phones. It should have an SOS button, long battery life and also enable two-way phone calls. They should also be durable, have a cool/fun design and easy to use for kids. The tracking bracelets require you as a parent to download an app from either Google play store or iTunes App store. Once you got the app, you can set up the tracking device from your cell phone. 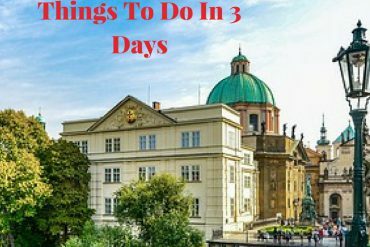 Let’s have a look at three devices which received good reviews from Amazon. All three are available for under $150. With the TickTalk tracking bracelet, you can store up to thirteen numbers. It features a history tracker and three-way locator: WiFi, GPS, and Local Base Station. 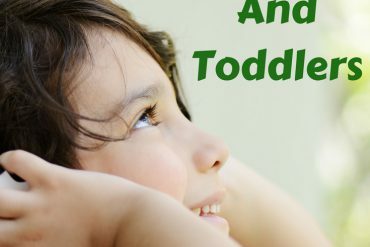 So you as a parent can keep track of where your child is at any given time. Your child can make phone calls to the preset numbers, use the SOS button in case of an emergency and can use voice messages. The clock is set to 12-hour regular time instead of military time which is easier to read by children. The battery lasts from 24 up to 48 hours. The monthly costs are $19 with unlimited talk, unlimited text plus 100MB data. No contract required. If you are already with T-Mobile, you could add a family line to keep the monthly costs down. Overall, this is a great tool to keep your kids safe and for you as a parent to locate their whereabouts on your phone. 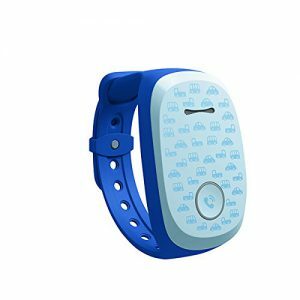 The TickTalk tracking device is colorful and a breeze to use by your children. I am sure they will love it. The Gizmo Pal is a cute device that features real-time location, two-way calls with a single button. Your child can make calls to two registered caregivers (the registration is done through the app) and can receive calls from up to four pre-registered numbers. The minimum rated talk time is 150 minutes and the standby time is 148 hours (roughly six days). This tracker can only be activated by Verizon. The monthly cost is $25 or, if you have an account with Verizon, it is $5/month. 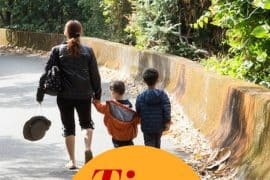 Overall, it is a nice tracking bracelet that is doing a good job in what it is supposed to do: locating your child and staying in touch. The KOBWA Kids Smartwatch offers all the features you need to look for in a good tracking bracelet. It offers three-way location technology: WiFi, GPS and Local Base Station and real-time location. As a parent, you can set an electronic fence. Once your child leaves the designated area, you will get notified via the app. You can also switch the watch off during class time (via the app), so your child can’t play with it during school. An attractive feature, in my opinion, is the love hearts you can send your little munchkin. Overall, this is a great smartwatch that provides excellent value for money. All three devices are suitable for Android and iPhone. You only need to download the appropriate app from either the Google Play Store or the iTunes stores. Please keep in mind that except the TickTalk, these smartwatches can’t be used as tracking devices abroad. 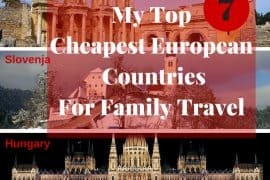 I’ve got an alternative that you might find useful when traveling to different countries. It is a customized emergency bracelet and is available on www.Roadid.com You can choose from various colors, add a badge and put the information of your choice on the ID plate; from emergency numbers to relevant medical information. The ID plate is interchangeable. The silicone band is latex free and safe to use in fresh and salt water. The emergency bracelet is perfect for kids of any age. From experience, I know how difficult it can be to keep a watchful eye on children. It only takes a moment of distraction and you can lose sight of them especially in busy places like shopping malls, on a field trip or amusement park. 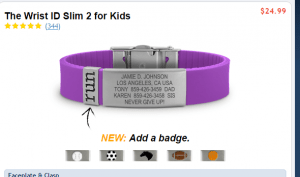 GPS tracking bracelets for kids and the emergency bracelet by RoadID will give you peace of mind. 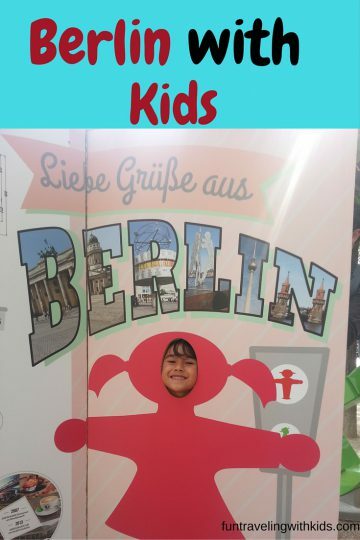 I do hope, my post will help you to make an informed decision on what is most suitable for you and your kid’s needs. I always recommend products I have used or would recommend to friends and family. We can never assure the safeness of our kids but I think tracking device has a great impact for us parents in monitoring and keeping our kids safe all the time. 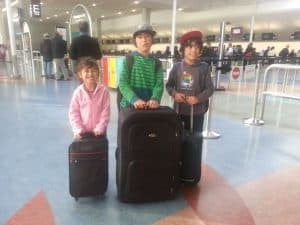 My kids are excited to have their first trip abroad, I’m a bit nervous and I need a tracker that works worldwide, does anyone have recommendations? Keeping my kids safe all the time is my priority. I’m beyond thankful that nowadays we have already this kind of device(tracker).This is really a big help for us parents when it comes to safeness of our family specially to our kids. Thank you so much for commenting, Kelvin. 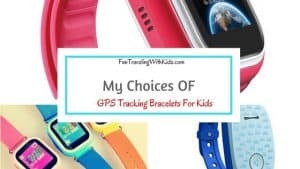 I’m planning for my kids summer activities, I will be getting a tracker for my peace of mind. Lovely! 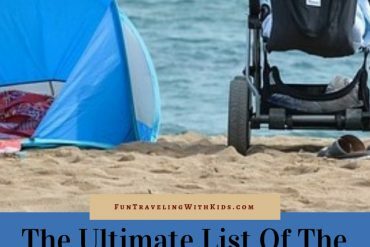 I hope my list has helped you to find the right tracker for you and your kids. The safeness of my kids is always top of my list. So thankful we have already this kind of devices that would make life easier. You are right, Alex. Technology is so helpful especially when it comes to keeping your kids safe. Tracking devices makes a lot difference this days. It makes you feel comfortable going to places or parks knowing that your kids are safe. I couldn’t agree more! Thank you, Matias. This is a very big help for a parent like me. Now I can easily track my child. Good thing this kind of technology already exists. Thank you so much for your feedback, Francine! This list is very useful and helpful. GPS has great use now in our daily lives specially when it comes to our kids, it helps us to keep our mind at peace. Thanks for your feedback, Christian! Good that nowadays there are already 3G tracking devices. 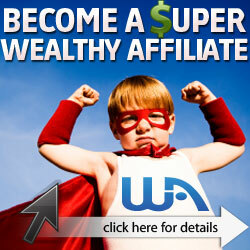 It helps a lot specially to single parents, at least they can have peace of mind. I agree, especially when you are traveling. Having a good feeling and peace of mind, e.g. when visiting a busy theme park makes all the difference. Thanks for commenting, Rosa. It’s great that technology like these is available, parents can at least have a peace of mind knowing where to locate their children. I couldn’t agree more with you, Sarah! Thanks for your comment – much appreciated. GPS tracking seems better, and is why I had decided to opt for getting 3G than 2G signal. Thanks for your comment, Ashley! Another device that’s been shared by my friend on Facebook is a Trackimo Guardian which was said to do the same service as other tracking devices but with more accuracy and is less expensive. 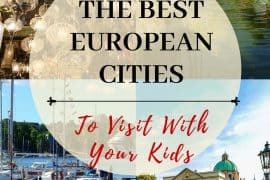 We can never be complacent with the safety of our children especially when travelling, this list is helpful I’ll try one of these. Recommendations anyone? Hi Nicole, which tracking bracelet is best for you probably depends most on the age of your child and what you want it to use it for. For traveling overseas, my #1 choice would be the RoadId bracelet. If you are looking for options for a toddler then the Anti Lost Wristbands (available on Amazon) are a great option. They are inexpensive to buy and will give you peace of mind.